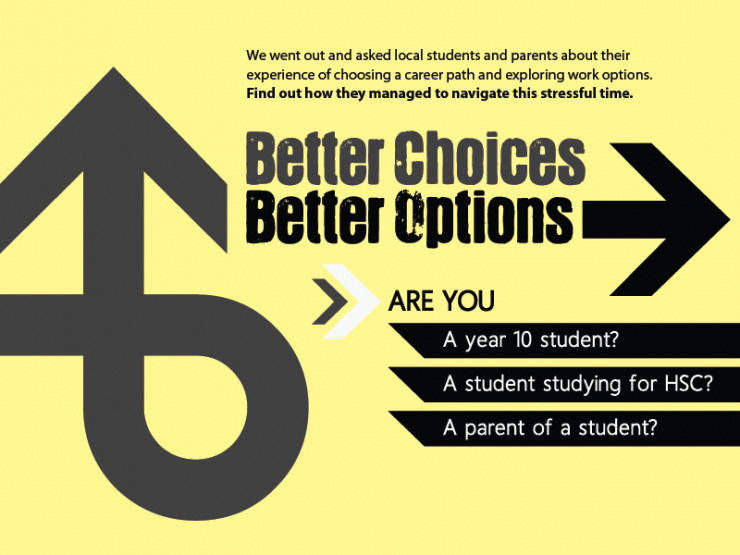 Better Choices Better Options is a video-rich website that features stories of high school students and parents from the NSW coastal town of Coffs Harbour. The videos explore issues faced by both students and parents when students reach Year 10 and start thinking about career paths. Magic Cupboard Interactive (MCI) were engaged by Coffs Harbour City Council to develop this resource for the local community. MCI filmed, edited and produced all the video content and hand crafted the website using Zurb Foundation.